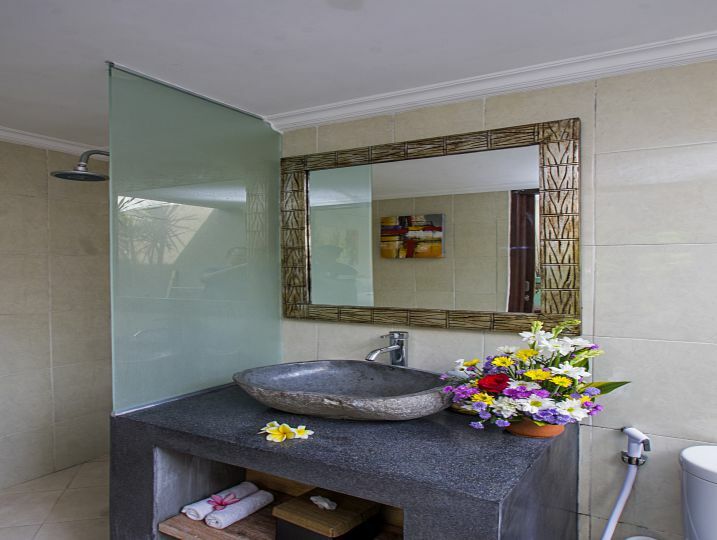 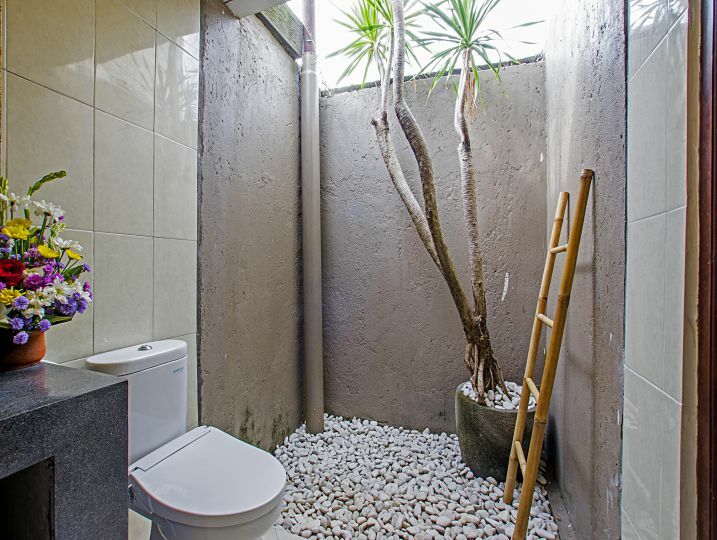 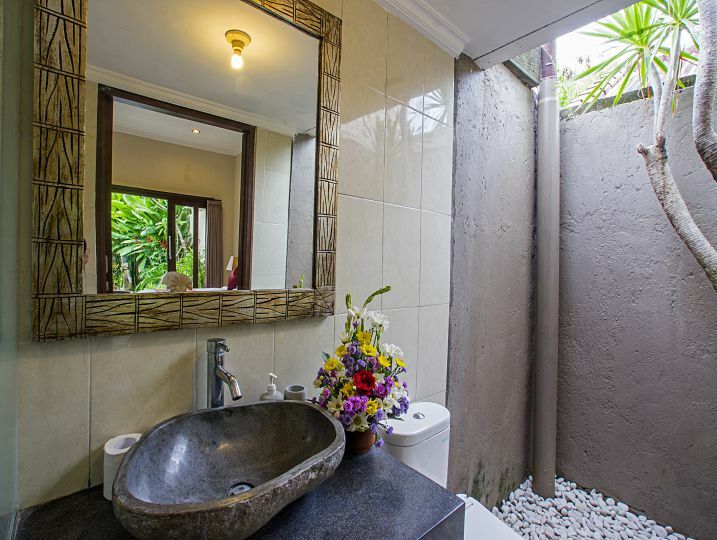 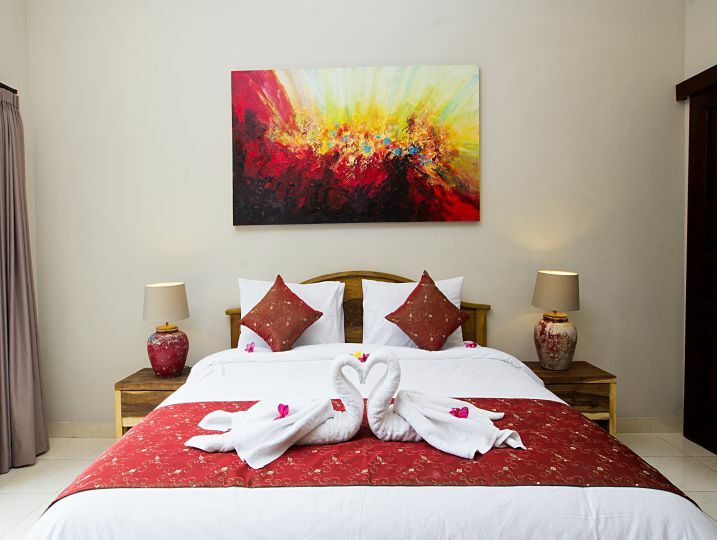 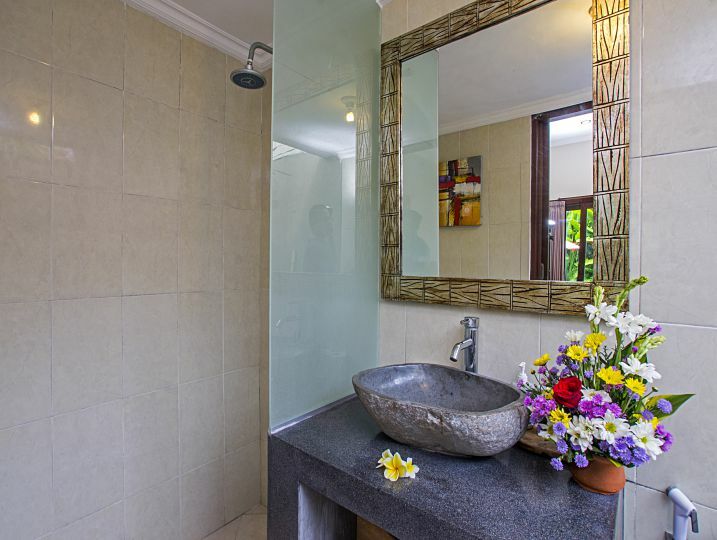 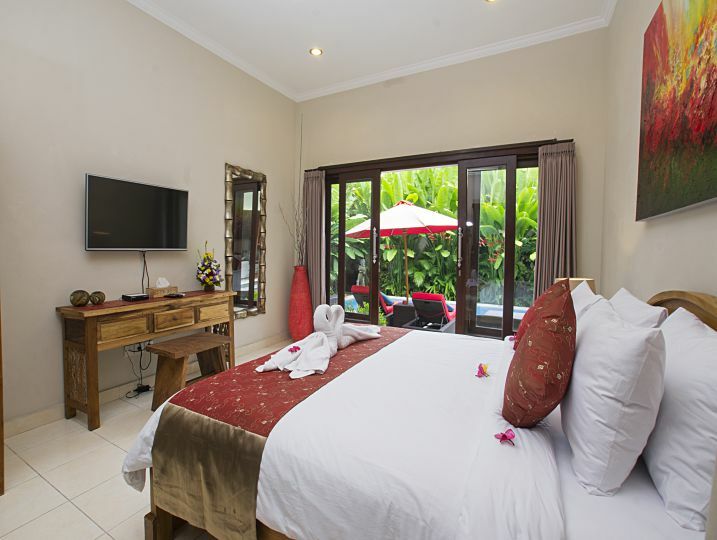 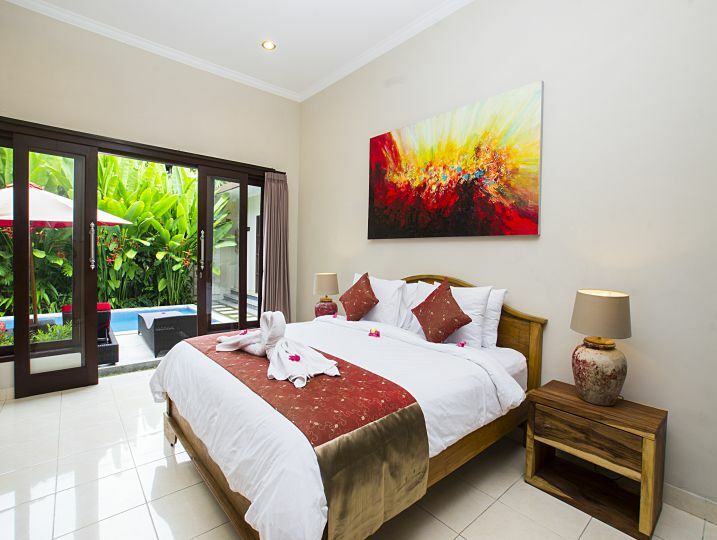 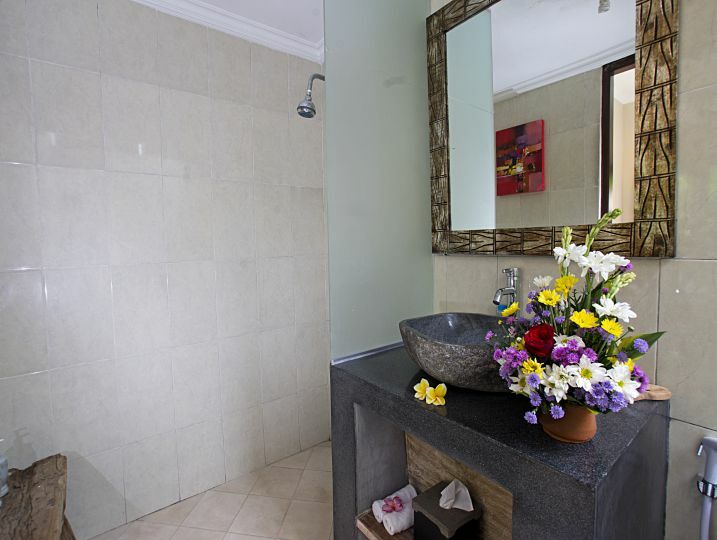 Villa Arushi I + II are two unit three bedroom villa located side by side located among the finest restaurants, spas, and boutiques in Seminyak area. 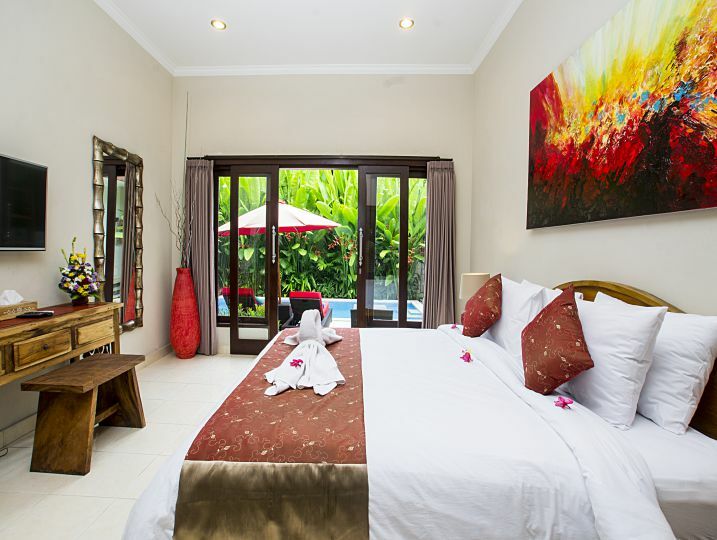 Villa Arushi I + II are two unit three bedroom villa located side by side located among the finest restaurants, spas, and boutiques in Seminyak area. 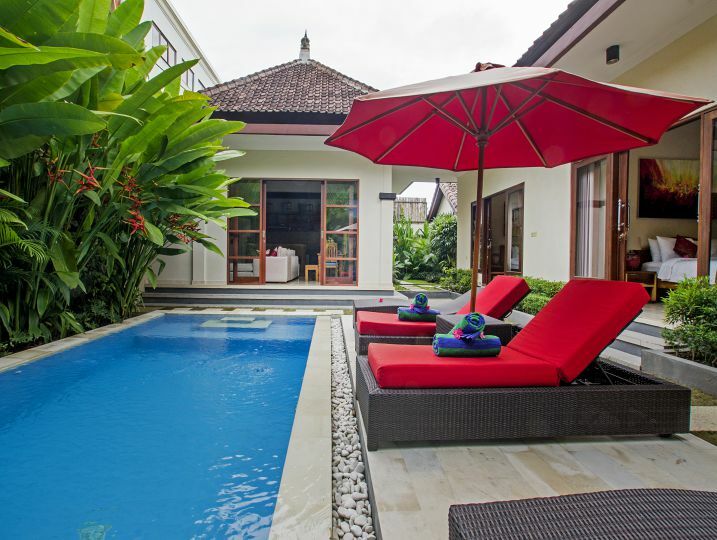 Those villas are recently renovated. 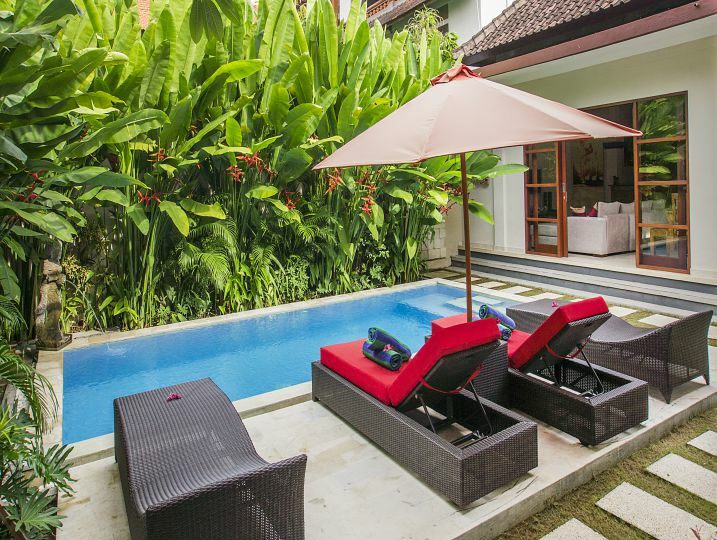 Carefully designed to combine a high privacy with a taste of real Balinese home, both Villa Arushi I + II will offers 6 bedrooms villa in total and will comfortably accommodate 12 persons in total. 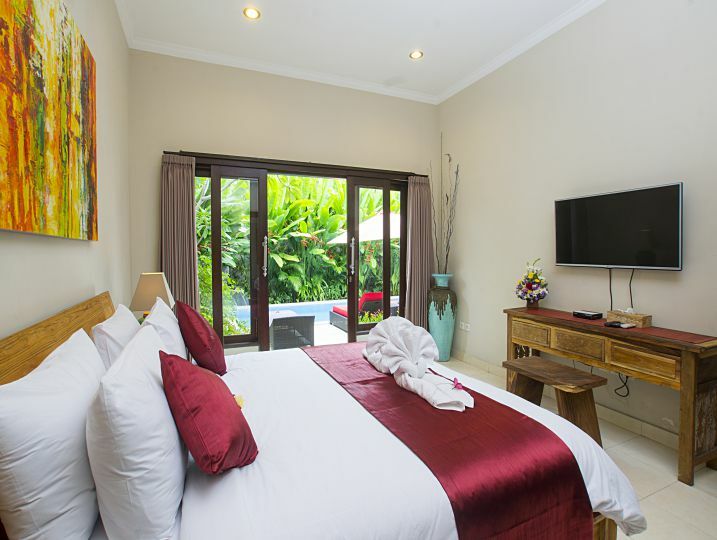 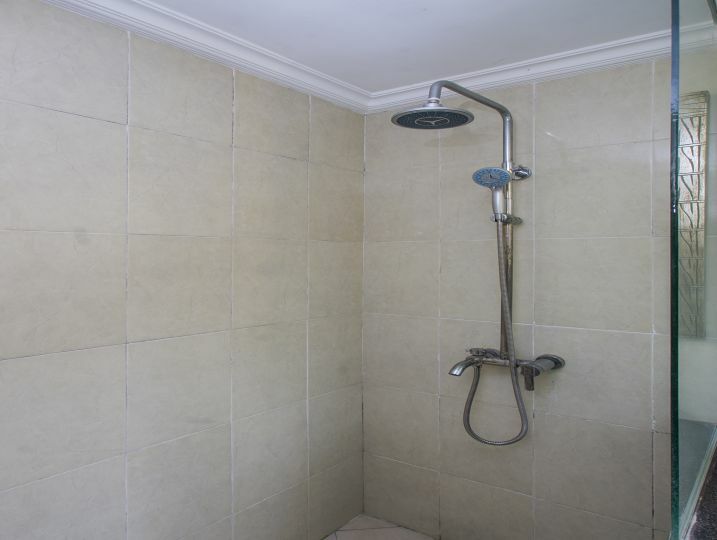 For your comfort, some features in the villas include; air-conditioned living adjoined with a dining space for 6, and includes a modern equipped kitchen. 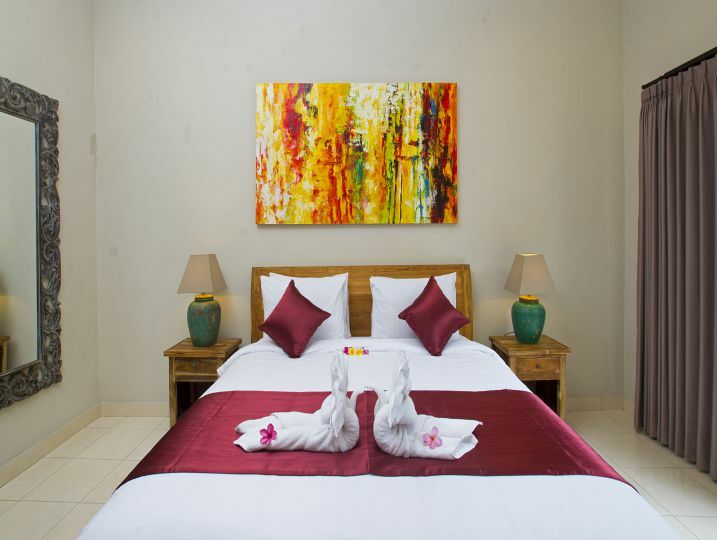 All rooms equipped with flat screen TV, king size beds and en-suite. 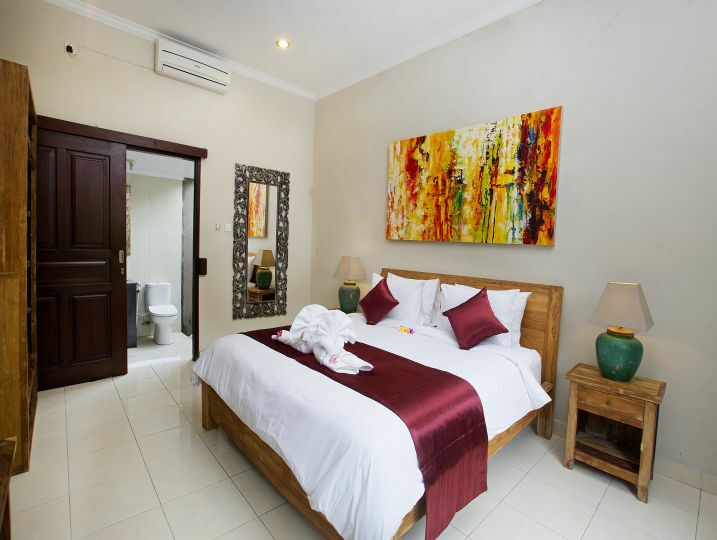 Bedroom 4 (Ensuite bathroom, Queen size bed, Air-conditioning, Walk-in robe with safety box). 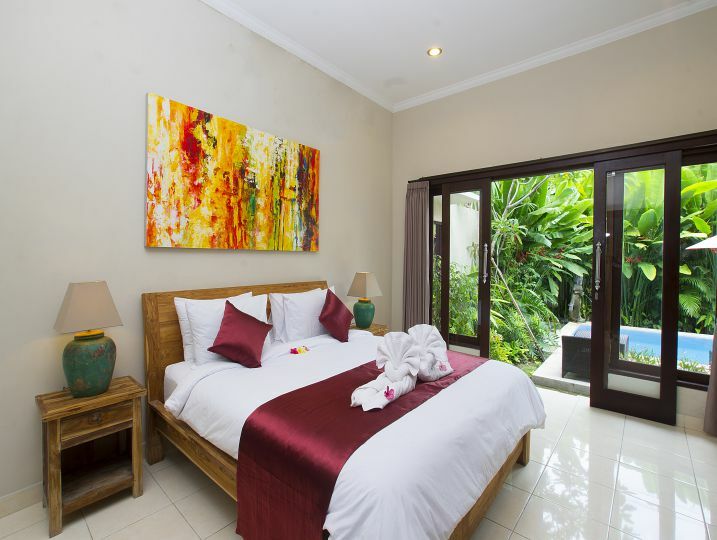 Bedroom 5 (Ensuite bathroom, Queen size bed, Air-conditioning, Walk-in robe with safety box). 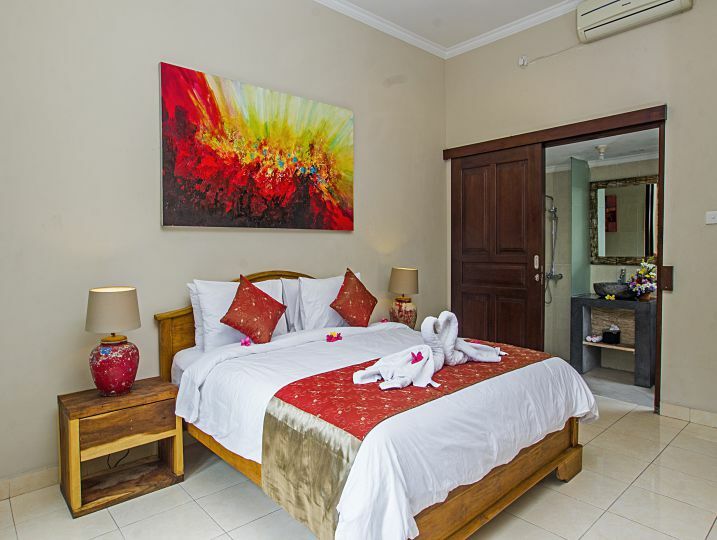 Bedroom 6 (Ensuite bathroom, Queen size bed, Air-conditioning, Walk-in robe with safety box). 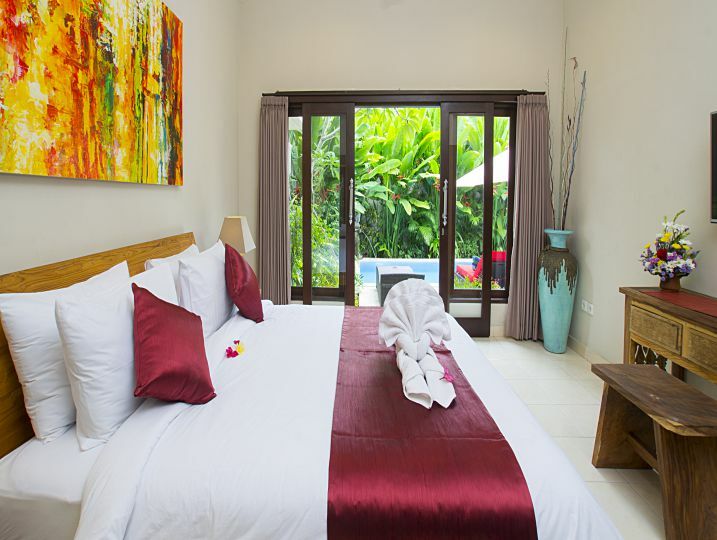 Villa Arushi 1+2 is available for selected dates.